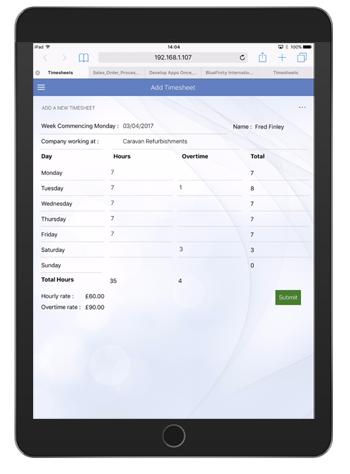 Evoke Online Timesheets has been specifically designed to allow recruitment agencies to smoothly move away from the paper timesheets process to help them reduce errors and increase their profitability. Evoke Online Timesheets is being used by a number of UK agencies and is already a key tool for a number of hiring managers from some of the UK largest companies. The app adapts instantly to Andoid, Windows and IOS operating systems, working on iphones, watches, android tablets and phones, Ipads, Windows desktops, Macs, etc etc. 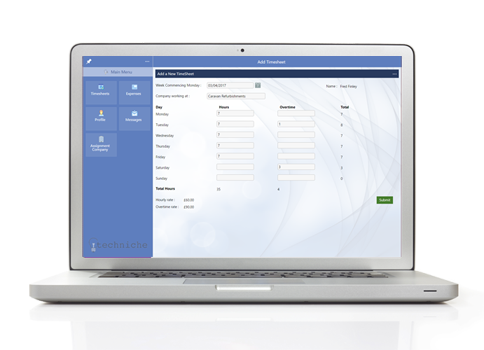 Enter Timesheets on any device, submit them, corect them and check their approved status. Enter Expense form on any device; take photos of receipts, update each day before submitting, check if approved or paid. Managers approve timesheets and expenses of their contractors and Agents approve payment. Whenever a timesheet or expense form is submitted, rejected, re-submitted or approved; personalized emails are sent to the appropriate manager, contractor or agent. Stay in control by seeing where a timesheet is in the approval process allowing you to know whether to chase a manager or contractor. Identify red flags by being able to see when a contractor hasn't submitted a timesheet at their usual time or a manager hasn't approved by a usual time. 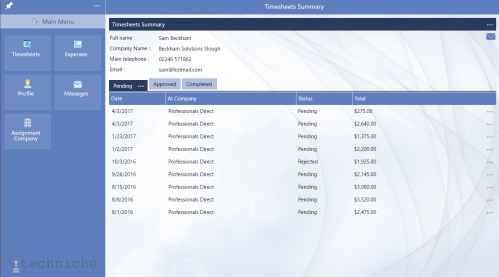 Notify contractors and managers of timesheet/expenses submissions and approvals. Save time & Money. 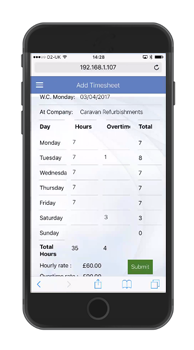 A consultant with a plan of £2,500 can become £62.50 more profitable per week with online timesheets. Dedicated apps for candidates and clients compatible with any mobile device, tablet, or laptop/desktop. Submit, View, Approve & Amend timesheets. Upload receipts instantly to app using camera of mobile device/tablet. One click timesheets & expenses approval. Accessible record of previous timesheets and expenses. BlueFinity International, have a number of Apps, created using Evoke in conjuction with customers, that serve as demonstration apps, seed apps for utilisation and onward development using Evoke and, in some cases, full function, hosted, "out of the box" apps that can be used by individual companies. 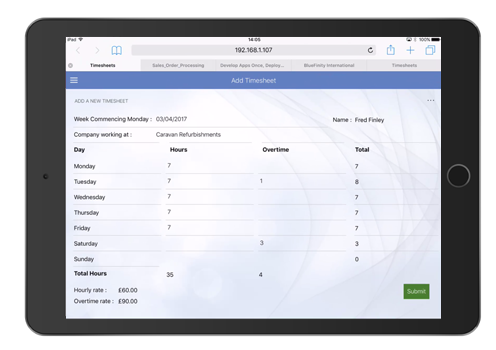 The Timesheets and Expenses Management App is available meeting all 3 of these criteria.